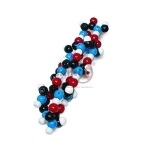 Molecular Models that offer hands on learning for any size category. 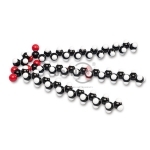 Students will simply visualize the form of the molecules. 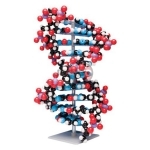 We have got a wide selection of molecular models that may assist you build biochemicals larger than life. 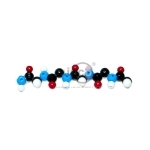 Jainco is the leading in Molecular Model Equipment, Molecular Model Equipment Suppliers, Molecular Model Equipment Exporters in India, Molecular Model Suppliers, Molecular Model Equipment in India, Molecular Model Exporters, Molecular Model Manufacturer in India, Molecular Model Equipment Manufacturer. The self-assembly fat glycerol tristearate molecular model. The protein-beta kit includes 105 atom-parts, 60 NV links, and 1 tool. Each kit comes in a durable storage case with compartments for segregation of parts. 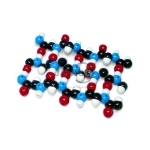 The sucrose molecular model kits are self-assembly. 46 NV Links, 1 tool. 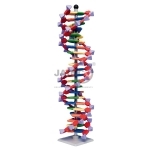 The Jainco ten layer DNA molecular model is a 3D model of a double helix with 640 atom parts and a stand. The range of models included in the Jainco offering is designed to enhance the teaching of the UK and US curricula. 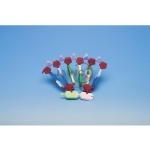 Excellent quality models produced from precision engineered moulds and materials. Color-coded to national standards for ease of identification.